Nathan and Rachel Taufer have encouraged the community to support newborn care by participating or donating to the Coleman Greig Challenge. Parents Nathan and Rachel Taufer know all too well the challenges that come with a baby requiring intensive medical care. After their experience with their baby girl and the life-saving support of Westmead Hospital’s Neonatal Intensive Care Unit, they are encouraging the community to donate or participate in the Coleman Greig Challenge. Grateful mum Rachel said her family wouldn’t be complete without Westmead Hospital. “Without Westmead you’d be looking at a widowed father,” Rachel said. 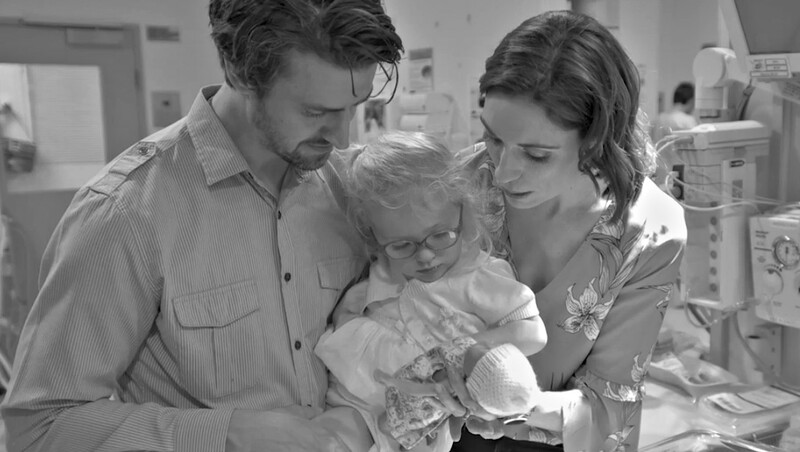 In a moving video, parents Rachel and Nathan talk about their experience, detailing the state-of-the-art technology that kept their baby safe. “I had growth scans once a week. Any movement for me risked losing my baby – so they’d bring an ultrasound machine right to my bedside,” Rachel said. Operations director of Womens and Newborn Health Donna Garland encouraged the community to get on board and support families like Nathan and Rachel’s. “Every dollar raised makes a difference to newborn care,” Donna said. The Coleman Greig Challenge is on Friday 21 September and registrations close this Friday 14 September. Westmead Hospital is a proud beneficiary of the challenge for the third consecutive year. Registration for the event will start at 6am and conclude by 6.45am. All events will start by 7am and conclude by 9am. There will be a free breakfast once participants have reached the finish line.